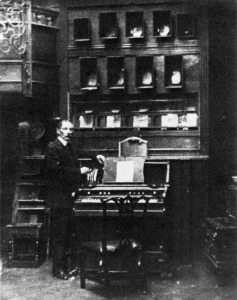 Isaac Newton’s colour circle (1704) and Alexander Wallace Rimingtons colour organ (1910). 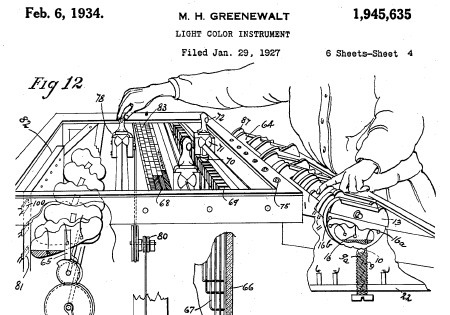 Patent for the interface of Mary Hallock-Greenewalts colour organ. 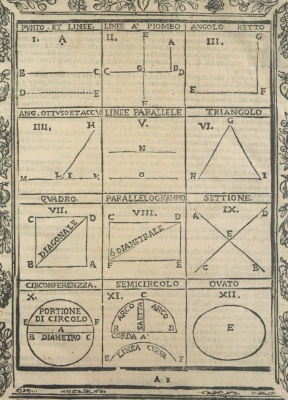 The elements of geometry as typically seen on the first pages of perspective handbooks, here from Guido Troili, “Paradossi per pratticare la prospettiva” (1672). 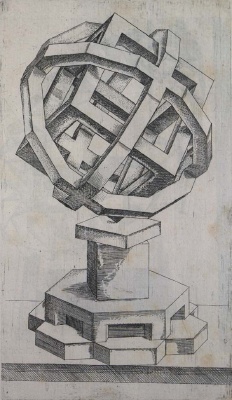 And a perspective curiosity by Hans Lencker, “Perspectiva Literaria” (1572). 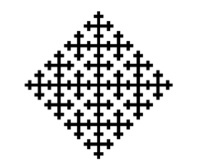 The intrinsic meanings of colours, shapes and lines by Humbert de Superville (ca. 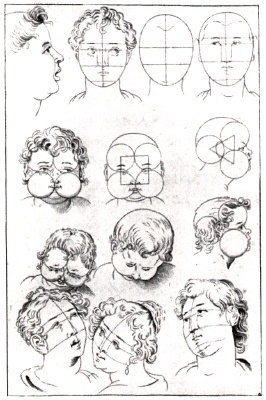 1830), and ‘Suprematism (Supremus No. 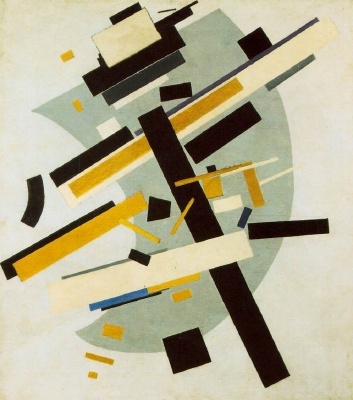 58)’ by Kazimir Malevich. 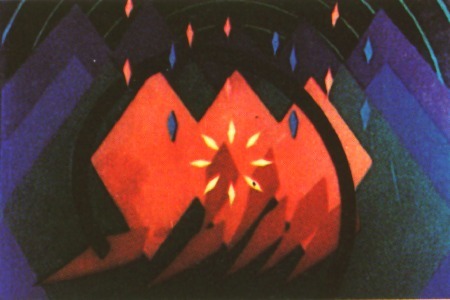 Still from ‘Allegretto” by Oskar Fischinger (1936). 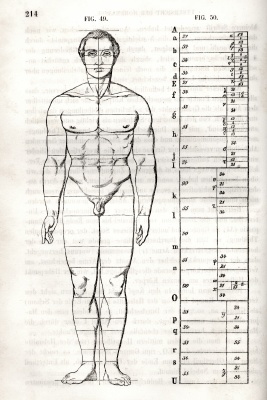 proportion: drawing schemas by De Wit (1660) and the invention of the Golden Section by Adolf Zeising (1854). 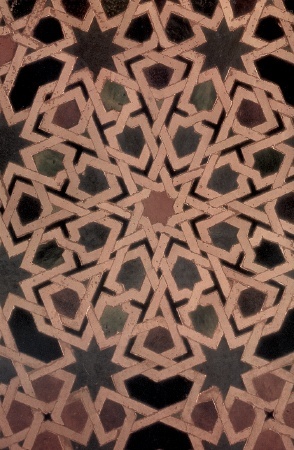 symmetry: construction example from “F i tadakhul al-ashkal al-mutashabiha aw al-mutawafiqa” an anonymous treatise from the 11th to 13th century, and a floor pattern from the Alhambra. 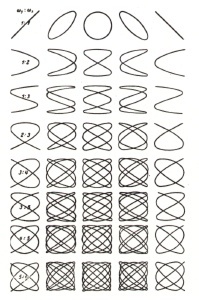 harmonics: wave patterns by Ernst Chladni (1787) and harmonic figures by Jules Lissajous (1857). 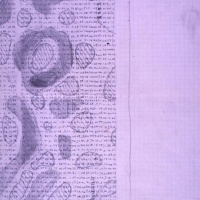 an example of Aristid Lindenmayers L-systems. 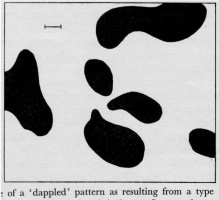 investigations into morphogenesis by Alan Turing (1952). 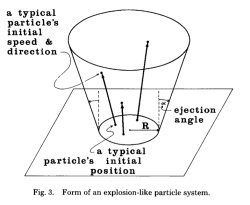 particle systems as described by Reeves (1983). 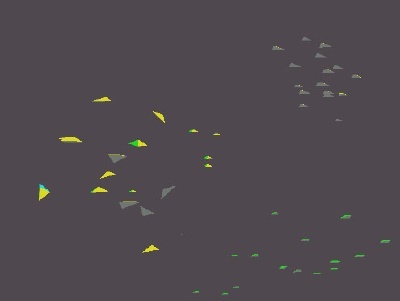 Boids by Craig Reynolds (1986). 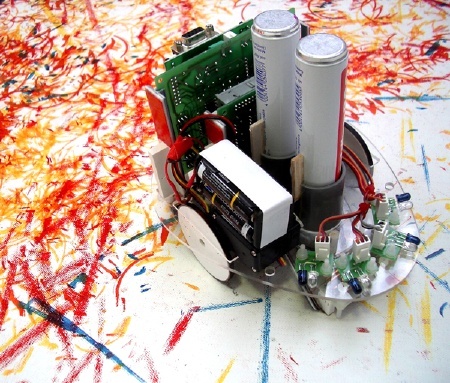 robotic painting agents by Leonel Moura (2003). 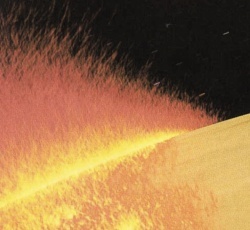 William Moritz, “Abstract Film and Colour Music”, in: “The Spiritual in Art, Abstract Painting 1890 – 1985″, Abbeville Press, New York, 1986. 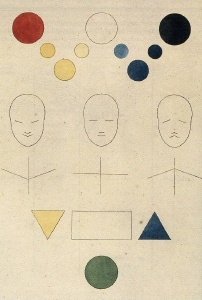 John Gage, “Colour and Culture, Practice and meaning from Antiquity to Abstraction”, Thames and Hudson, 1993. Albert van der Schoot, “De Ontstelling van Pythagoras”, Kok Agora, Baarn, 1998. 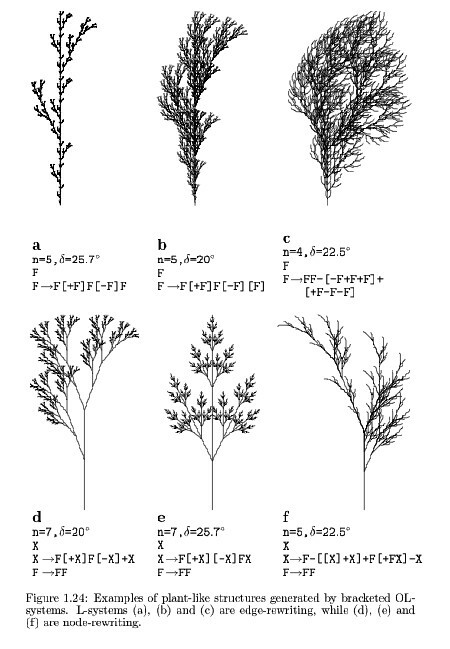 Przemyslaw Prusinkiewicz, Aristid Lindenmayer, “The Algorithmic Beauty of Plants“, Springer, New York, 1990. 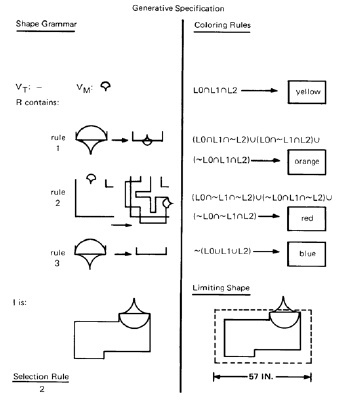 W.T.Reeves (Lucasfilm), “Particle Systems—a Technique for Modeling a Class of Fuzzy Objects”, ACM Transactions on Graphics, Volume 2 , Issue 2, April 1983. 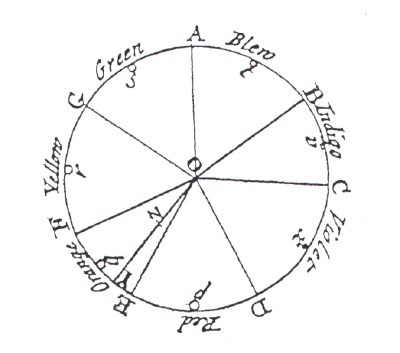 William Moritz, “The Dream of Color Music, and Machines that made it Possible“, Animation World Magazine, issue 2.1, 1997. Frans Gerritsen, “Evolution in Colour”, Schiffer Publishing, West Chester, 1988. 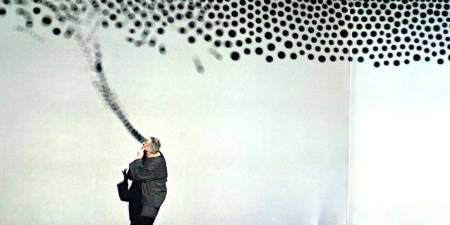 Ernst Gombrich, “Art and Illusion”, Phaidon, Oxford, 1960. 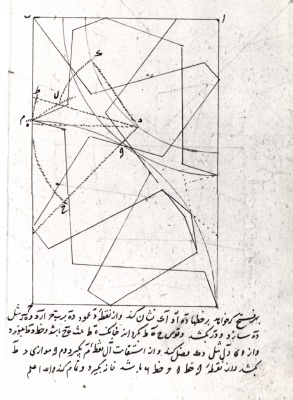 Gülrü Necipoglu, “The Topkapi Scroll, Geometry and Ornament in Islamic Architecture”, The Getty Center, Santa Monica, 1995. 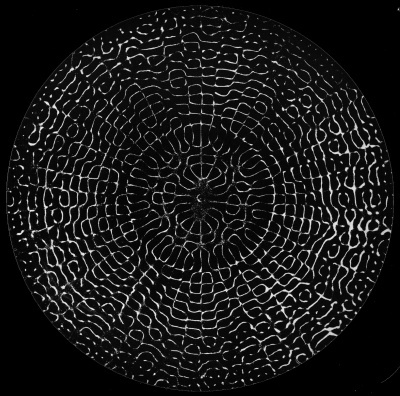 Hans Jenny, “Cymatics”, Basilius Press, 1967. 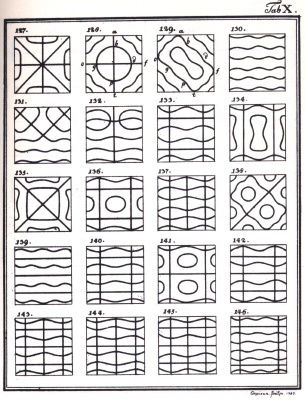 Joseph Schillinger, “The Mathematical Basis of the Arts”, Da Capo Press, New York, 1948. 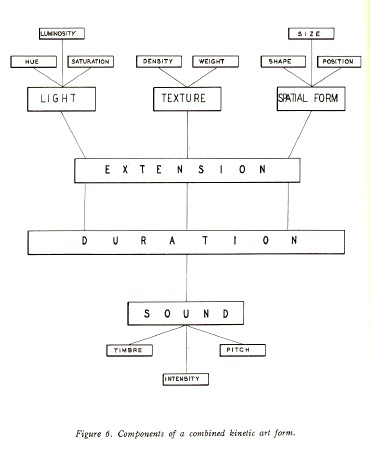 George Stiny, James Gips, “Algorithmic Aesthetics“, University of California Press, Berkeley, 1978.